The sole trader business structure is the most popular in the UK. In 2017 there were approximately 3.4 million sole traders, accounting for 60% of small businesses. 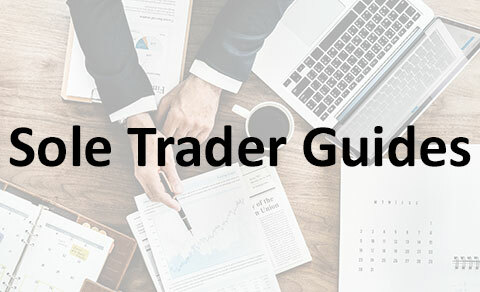 The sole trader structure has been popular due to its many advantages and the ease of setting up. Sole trader business owners are known as self-employed and most freelancers opt for this structure of the business. There are both advantages and disadvantages of the sole trader business structure that need to be taken into account before making any business decisions. Becoming ‘self-employed’ is the most popular means of starting up a new business. You can become self-employed through becoming a sole trader or forming a partnership. Sole traders make up over 60% of all UK businesses (3.4 million), and partnerships account for another 7% (414,000). Here we look at the basics of what is a sole trader and things you should consider before taking the leap. The alternative to setting up a limited company is to become a sole trader or a member of a partnership, for example, if you decide to trade a sole trader you will essentially be classed as ‘self-employed’. In this guide on how to register as a sole trader, you will be made aware of all the relevant taxes, optional taxes you can register for and how to actuallly set up as a sole trader/ sel-employed. If you’re self-employed, you can claim for a wide range of expenses against your tax bill, although you have to be careful to only apportion costs which have been genuinely incurred in the running of your business. Choose between forming your own limited company, or becoming self-employed (a sole trader), with the help of our comprehensive comparison table, which describes the advantages and disadvantages of each business structure. Here is the table of Sole Trader Vs Limited Company. One of the first things you need to consider before starting up is whether to register as a sole trader (or partnership), or set up a limited company. There are significant differences between the two types of business structure.